It took only one game for the Bronco Dodgers to claim the PPBA Bronco World Series title as they edged the Cardinals, 12-11, in extra innings. Playing their first game in 10 days, the Dodgers faced the Cardinals on May 31. The Cardinals reached the finals by upsetting the unbeaten Tigers on May 26. Wilson Buchanan, Davis White and Charlie Kaplan. 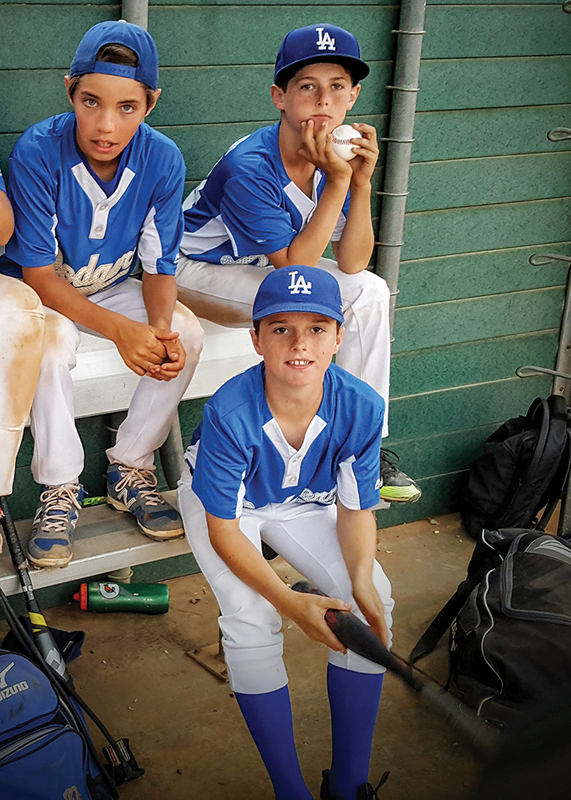 The Cardinals jumped out to a 5-0 lead in the first inning, but the Dodgers closed the gap in the third with a two-run double by Wyatt Standish and a run-scoring double by Charlie Kaplan. “We took a 10-9 lead in the fourth inning following four straight hits from Jack Wyn- perle, Davis White, CW Ford and Jack Gurevitch,” said Dodgers coach Jim Ford. Gurevitch ultimately led the Dodgers with four hits and five RBIs, including a dramatic game-tying homer in the sixth inning to tie the game, 11-11. On the mound, he struck out three batters as he gained. In the bottom of the seventh, Kaplan singled for the Dodgers, stole second and scored the winning run on an infield hit by Wilson Buchanan. The Dodgers finished their season with an overall record of 13-6, while the Cardinals were 11-9.